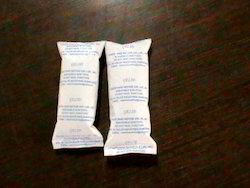 Providing you the best range of cold hot pack, instant hot pack and hot and cold pack with effective & timely delivery. 1. 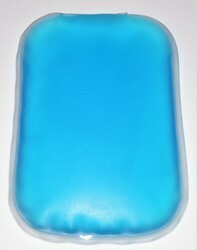 Place GELID Gel Ice Pack into a freezer for 2 hrs. The GELID Gel Ice Pack will remain flexible even when frozen. 2. Remove the GELID Gel Ice Pack from freezer. Insert GELID Gel Ice Pack into the fabric pocket of support and then apply to body. Do not apply directly on the body. 1. 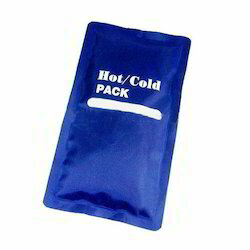 Insert hot GELID Gel Ice Pack into the pocket of the support, and then apply to body. Do not apply directly on the body. 2. Prepare GELID Gel Ice Pack for hot therapy by following heating instructions. 1. Bring pan of water to boil and remove from heat. 2. DO NOT BOIL THE GELID GEL ICE PACK DIRECTLY. 3. Immerse the GELID Gel Ice Packs in hot water for 8 -10 minutes. 4. Carefully drain the water in the bowl and remove the GELID Gel Ice Pack with a towel. 5. Test the GELID Gel Ice Pack first before use. If the unit is too hot let it cool-off before use. 6. Insert GELID Gel Ice Pack into the pocket of support, and then apply to body. Packaging Details: About 300 pieces in a carton. Shake well the pack before pressing metal disk along with the liquid accumulated to activate and generate heat. It can be re-activated by following the same process, shake and then click the coin inside the liquid. Can be reused till punctured. Can be reused N number of time with both the usages of Hot and Cold. We take pleasure in introducing ourselves as leading firm by offering Hot and Cold Pack. Packaging Details: About 35 pieces in a carton. Looking for Hot and Cold Pack ?